Smooth hardwearing rubber top surface laminated onto a microcellular vinyl base. 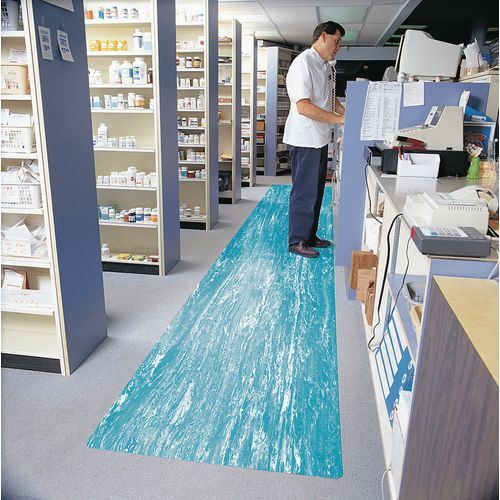 Latest technology ensures the mat is anchored to smooth floors. 12.7mm thickness gives user comfort and safe use of stools. Bevelled edges on all four sides. Easy to mop or sweep.